These days everyone is lurking around with a camera! Always wondered if “reel life” mimics (or drew inspiration from) “real life” or vice versa! I was only trying to frame the actor/poster(on the bus) wondering which real life subject would be good to include in the frame. And the lady hurriedly ran past in the hope of catching a bus in front of this one. 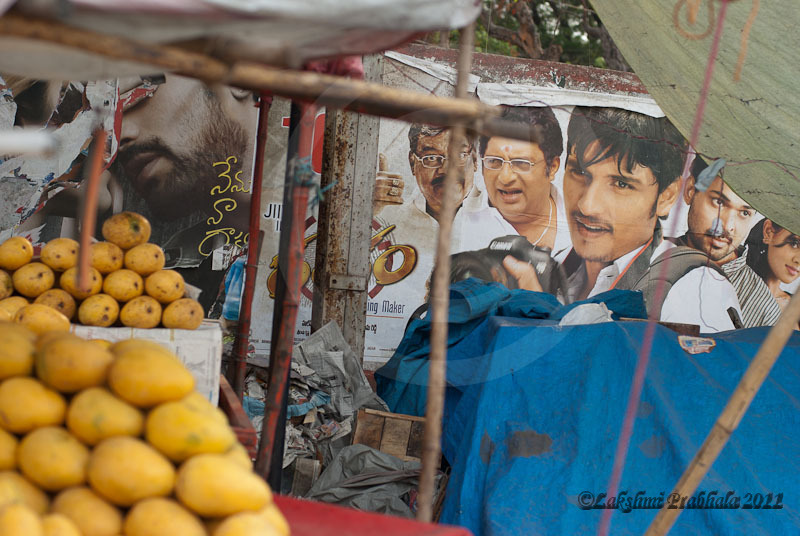 A scene spotted before the elections, where they made posters for publicity. The Father of the Nation must surely wonder where we went wrong?